This may surprise you, but a home run is actually a mistake! 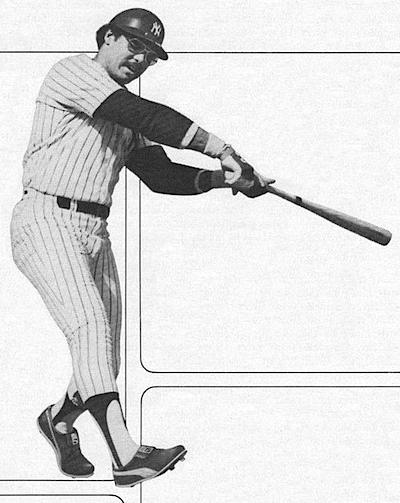 Instead of hitting the ball smack on the button, you’ve caught it slightly below dead center. When I hit the ball dead center. I don’t get a home run. I get a screaming line drive. Which is also quite pleasant. You’ll hear people say that you’ve got to swing up at the ball to belt it a long way. I don’t agree. To get under a knee-high ball, your shoulder has to dip. You’ll be awkward, and you may not get a hit at all. Swing up at a higher ball and you’ll probably foul it off or pop it up. If you can’t read, you can’t hit. A fastball is traveling maybe 90 miles an hour. A sinker will do about 85. A slider, around 75 to 80. A curve ball, 60. And a change-up, maybe 50 miles an hour. So right there you have five different kinds of speeds that you have to be able to recognize instantly by reading the rotation on the ball. Don’t watch the pitcher’s hand if you want to see the ball early. Watch the area where he’s going to release the ball. I first start to see the ball about 10 or 15 feet after it leaves his hand. By the time it’s halfway to the plate, I pick up the rotation of the ball … and my brain automatically calculates the speed and starts computing my stride and setting the timing of my swing. It all has to happen in a tiny fraction of a second. Which is why hitting a baseball isn’t easy. But if you can’t read the ball, you can’t hit it. 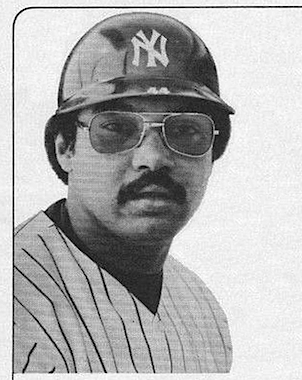 Reggie Jackson (aided by Joel Cohen) is the author of Inside Hitting, a comprehensive guide to hitting techniques. Don’t try for distance. Ever. The long ball is generally the result of natural gifts. In my case, strength. If you press for distance that’s beyond your natural capacity, you reduce the chances of making contact. Don’t use a bat that’s too heavy. Hitting power comes from bat speed, not size. Pick one that’s light enough to whip into the ball. I’m strong enough to swing a 42-ounce club, but I don’t. I prefer the control I get with a 36-ounce bat … or sometimes even a 35-ouncer. Don’t mimic idols. You could be forcing your body to go against its own natural style. It could slow down your learning process. Your legs are the strongest part of your body. When they get tired, your whole body gets tired. That’s why a good shoe is so important. It won’t sap your strength – and speed – the way a poor shoe can. 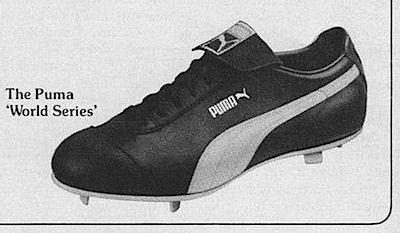 I helped Puma design their baseball shoes, and I was probably the first player to wear them, back in 1973. Just about everyone I know will slit his baseball shoe for comfort. But I can put Puma on and not worry about a blister from the very first day. They’re light and flexible for foot speed. Yet they’re strong enough so your feet and legs don’t take a beating and get tired quickly. 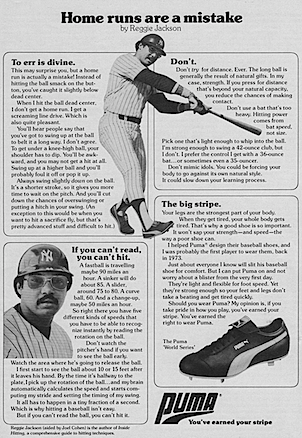 Should you wear Puma? My opinion is, if you take pride in how you play, you’ve earned your stripe. You’ve earned the right to wear Puma.